Silver Sable made her return in the pages of The Amazing Spider-Man #25 after her apparent demise at the hands of the Rhino, but we’ll be waiting until issue #27 to find out how exactly the fan-favourite character managed to survive being both drowned and subsequently blown up. In the preview above, however, we do get a glimpse of the conversation between Peter Parker and Sable which will shed some light on what happened to her – though the most revealing panel has been hidden from us at this time. Norman Osborn has slowly worked his way to a position of power in the Eastern European nation of Symkaria, and now has a goblin-ized army behind him. 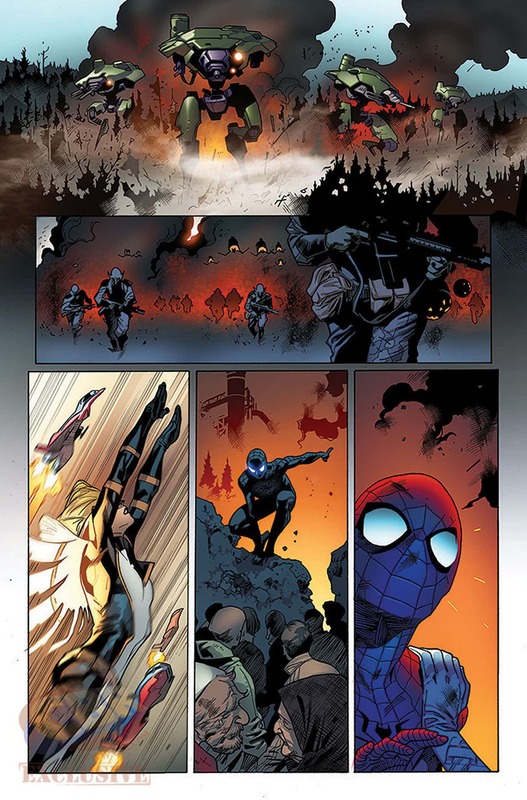 With Symkarian hero Silver Sable at his side, Spider-Man has all the forces and weaponry that Parker Industries can gather to take the battle to Norman. 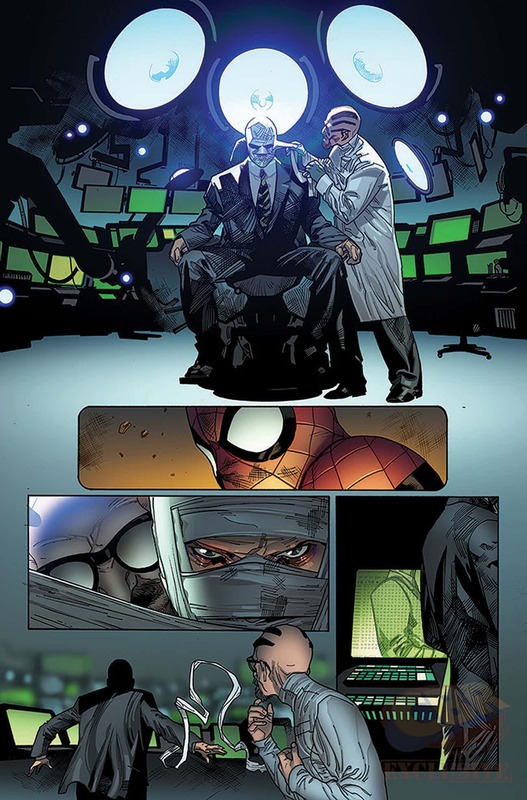 The other pages include a look at the returning Norman Osborn (who no longer has the Goblin Serum flowing through his veins, but is perfectly sane and intent on destroying the wall-crawler) along with a sneak peek at Spider-Man and Mockingbird taking on the villain’s powerful forces. 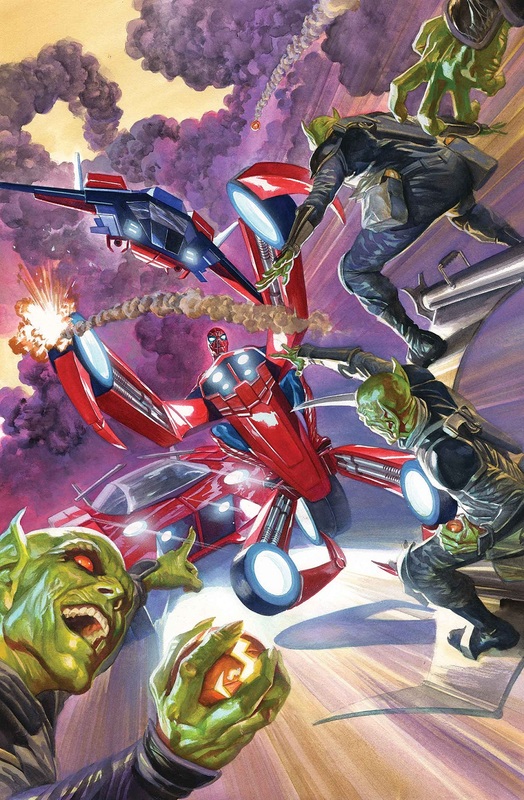 With Osborn unlikely to be suiting back up as the Green Goblin, it should be interesting for fans to see how his dynamic with Peter has changed. 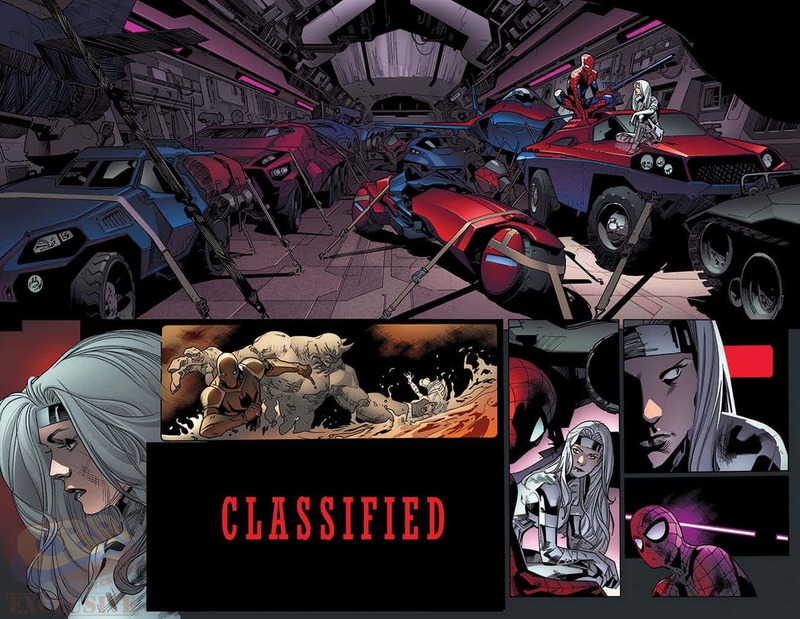 Still, it’s Silver Sable’s return which should be the biggest draw in Dan Slott and Stuart Immonen’s The Amazing Spider-Man #27. What’s next for her? It’s hard to say, but she too appears to be after Osborn, so the now powerless bad guy is going to have to go through quite a bit of trouble if he hopes to return to his former self.